Corporate Social Responsibility (CSR) is not everyone’s cup of tea but there’s no denying the concept is catching on. From Molson Coors Canada’s “responsible drinking” campaign to Ben and Jerry’s Caring Dairy program, CSR adherents are trying to tie good deeds to business interests. Many of these initiatives are eminently worthwhile. Very few reflect profound corporate soul searching or pose existential threats. They are generally marketing inventions designed to burnish reputations or take the edge off otherwise controversial activities. But for a small group of companies, the stakes are much higher. These are companies with dark, emotionally-charged pasts: Aetna’s underwriting of slave insurance policies, Credit Suisse’s profiting from the Holocaust, Daimler’s (and other multinationals’) enabling of the South Africa apartheid regime. Corporate commitments to justice in the present and future so that similar injustices cannot occur again. This is clearly not the playbook for corporations with skeletons in the closet. Faced with owning up to their history, corporations immediately put their legal teams in the lead to deny or mitigate liability. True to form, leaders at Volkswagen followed this strategy when they were forced to own up to its supporting role of the Third Reich during the Second World War. During the war, Volkswagen was transformed into an armaments factory; at one time, about 80 percent of its workers — 20,000 people — were forced labourers. 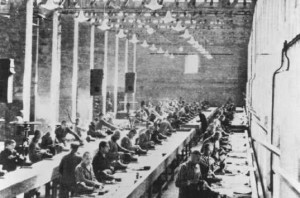 As Janssen notes in her paper, Volkswagen at first drew a legal line in the sand: it did not view the present-day company as the legal successor of ‘‘Volkswagenwerk GmbH,’’ which was founded during the Nazi era, nor did it acknowledge any legal obligation to redress forced labourers. But in 1998, facing growing pressure, Volkswagen established a ‘‘humanitarian fund’’ that provided financial reparations for victims of forced labour (though the company continued to deny it had no legal obligation to do so). Two years later, Volkswagen joined other companies and the German government in setting up a fund for reparations. And that’s where the soul searching and accountability ended for almost all the targeted companies, who were only too happy to leave the issue of forced labour behind. Not Volkswagen. With liability no longer an issue, Volkswagen fully acknowledged its ‘‘moral responsibility’’ for its past and set out to address its history, Janssen says. It funded historical research and social and cultural projects in the countries of origin of former forced labourers. 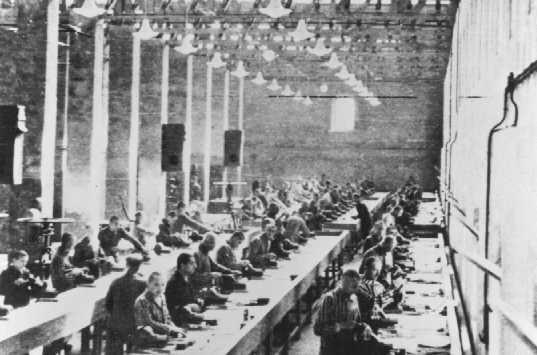 It provided facilities for volunteers at the Auschwitz memorial and educational programs for Volkswagen managers and trainees. Its corporate archives published memoirs of victims, and issued reports on the issue of forced labour at Volkswagen. It created two memorials, and launched an exhibition featuring artifacts and witness statements provided by former forced labourers. From her research of Volkswagen’s extraordinary approach, Jansson came away with three key insights about CHR. One, a difficult past needs to be seen as a moral as opposed to a legal issue. Two, historical research and the publication of victims’ memoirs provide public accountability. Three, embracing remembrance of the past can translate initial responses into ongoing CSR efforts. Undeniably, though, CHR is a big leap of faith. If you have other examples of corporate soul-searching, do share them in the comments section.